Where was this review when I was a freshman in high school? I could have blown my English teacher away without actually having to read the book. He’s a Great Book! with Ozzie Guillen — Of Mice and Men from Dan Bulla on Vimeo. Love the intro of Ozzie at the field, belting books out of the park. Red Sox, Rays each drop to 0-6 – time to panic? …oh, stop it. 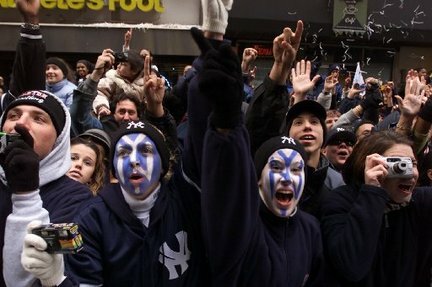 You don’t count, Yankee Fans. The Rays have also started off 0-6, but they haven’t even held a lead this year. They’ve scored one run in five of their first six games and fans are already booing Manny Ramirez. Ironically, White Sox starter Edwin Jackson also struck out 13 Tampa Bay batters in a 5-1 win on Thursday. What does this all mean? Maybe something, maybe nothing. Pundits figured that the Rays could struggle with the amount of talent they lost in the offseason, but nobody saw an 0-6 start for Boston. Not after they shelled out big money for Crawford and traded for slugger Adrian Gonzalez. But the reality is that they’ve done nothing right so far. Of course, we haven’t even reached the middle of April yet. If Boston sweeps two three-game series, they’ll be back to .500 (I took math in college) and this 0-6 start will fade a bit from memory. Besides, you can’t look too deep into what a team does in April – nevertheless the first week in April. Does anyone think the Pirates will continue to play well? No, they’ll eventually fall off. They’re playing well now because everyone expects them to finish dead last in the NL Central and therefore, the pressure is off. That said, teams like the Red Sox that are expected to make a World Series run have a tendency to press when things aren’t going their way. Boston shouldn’t worry too much about being 0-6 but they obviously can’t wait too long to start winning either.